Summer has flown by and it's hard to believe that students will be headed back to school in just a few short weeks. Although lessons have continued as usual throughout the summer, this time of year is a great time to start new projects within the studio! During the summer, we welcomed several new private and KiddyKeys students to the studio. 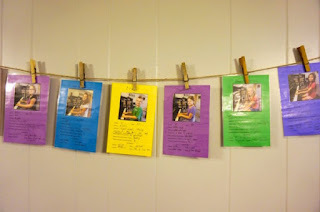 Joy Morin of Color In My Piano recently released an "About Me" printable that is the perfect solution to helping my students become acquainted with one another. The 30 Piece Challenge has been on my radar for over two years now, and this year is the perfect time to launch it in the studio. The goal of this challenge is to improve sight-reading and broaden musicianship. Wendy Stevens has some fantastic charts that I plan to use in the studio this year. 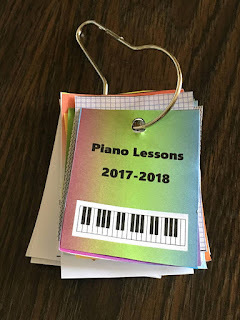 Heidi Scott, a colleague on Facebook, recently shared her brilliant take on brag tags for the piano studio. 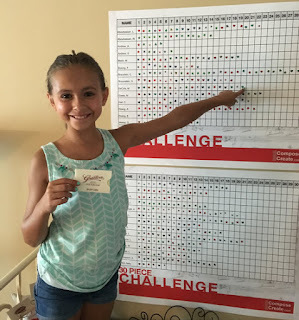 These are a great way to develop and encourage intrinsic motivation while simultaneously tracking all the progress each student makes throughout the year. I'm really looking forward to introducing these fresh ideas into the studio this year!